Conan the Barbarian, American author Robert E. Horward’s legendary character from pulp fiction, is one of the most popular characters of all time and was the subject of several films starring one well-known Austrian bodybuilder in the 80’s. But the truth is that there have not been that many great games starring Conan to date. Aside from some interesting releases like 2007’s Conan, an action game by developer Nihilistic Software that was suitably bloody and action-packed even if it was dismissed by reviewers as a poor God of War clone, good Conan games have been few and far between. This is the reason why many Conan fans are excited about developer Funcom’s upcoming Conan Exiles game, an open-world video game in which players will get to build their own homes and fortresses and defend against other players attacks while dealing with mythological creatures like massive Avatars as was seen in an earlier preview video. And given that the game’s release on the Steam store is just a couple of days away, Funcom has now released a cinematic trailer which shows how brutal the game’s fantasy world truly is. In the video, Conan rescues a group of exiles that had been left to die in the middle of the desert, and later gets to fight ferocious dog-like creatures in a bloody combat sequence. Those interested in buying Conan Exiles should also bear in mind that the game will be released later this month for PC on Steam “Early Access”, which means it won’t be a complete version of the game and that it still is in development and likely to be constantly updated by the developer as it readies for an Xbox One release this spring. 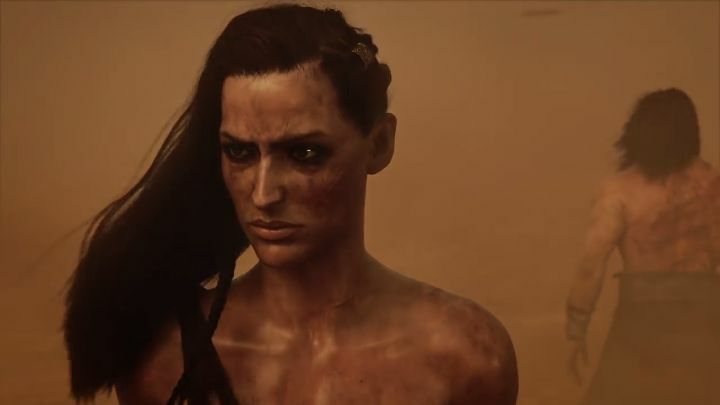 But still, Conan Exiles surely has the potential to be one of this year’s best games thanks to its interesting open-world gameplay and cutthroat world which emphasises building and survival, so this will definitely be one video game to look forward to when it’s released later this month.